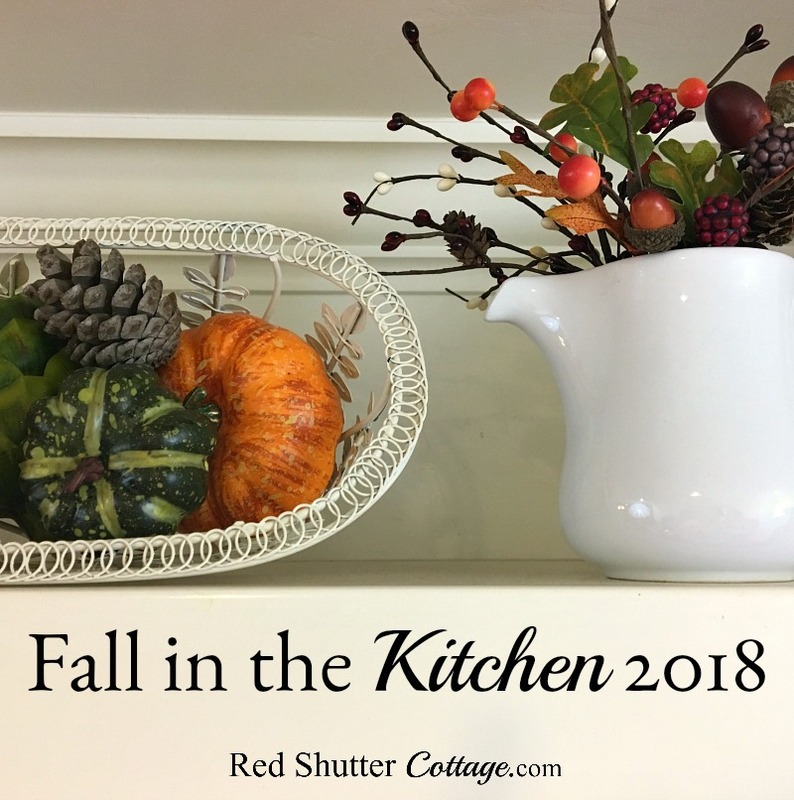 Welcome to Fall in the Kitchen 2018! 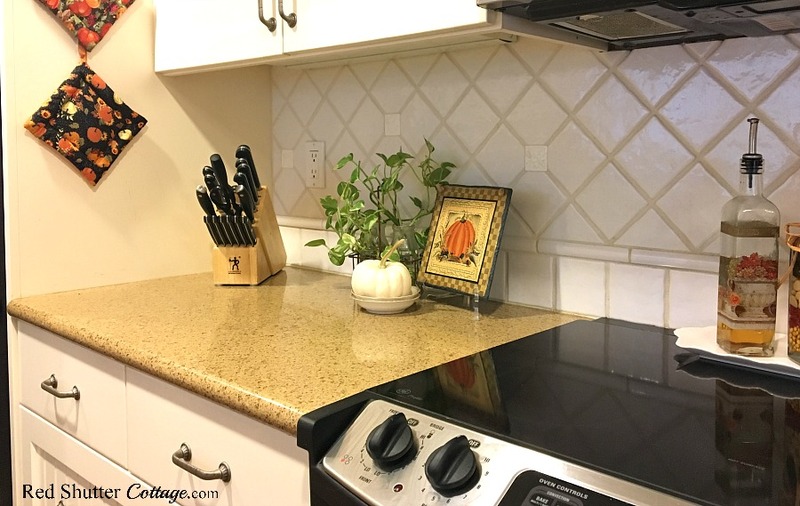 Our kitchen has light yellow walls (Benjamin Moore “Hay Stack”), and the same molding and floor board color as the rest of the house, which is Sherwin Williams “Arizona White”. 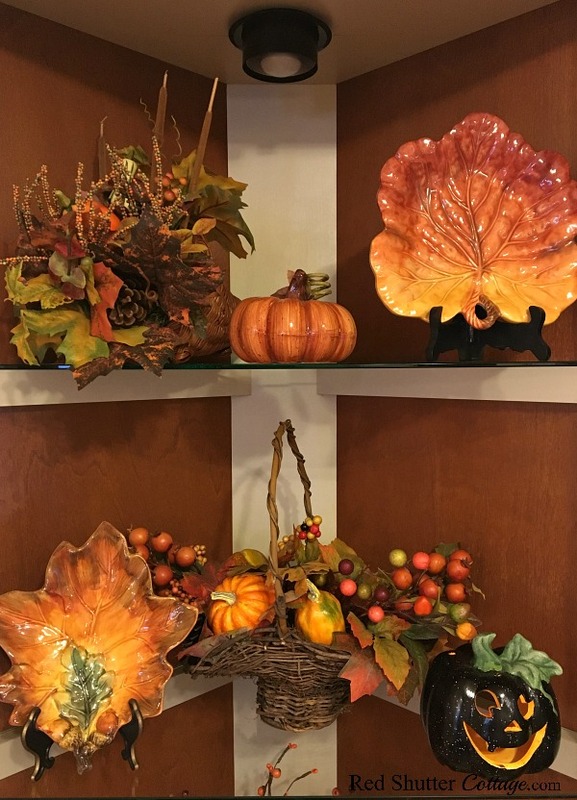 These colors are flexible and easy to work with all year round, but especially in the fall with all the terra cotta, rusts, russets and orange. I usually fill the hutch with my little collection of Halloween characters along with pumpkins collected from various craft fairs. 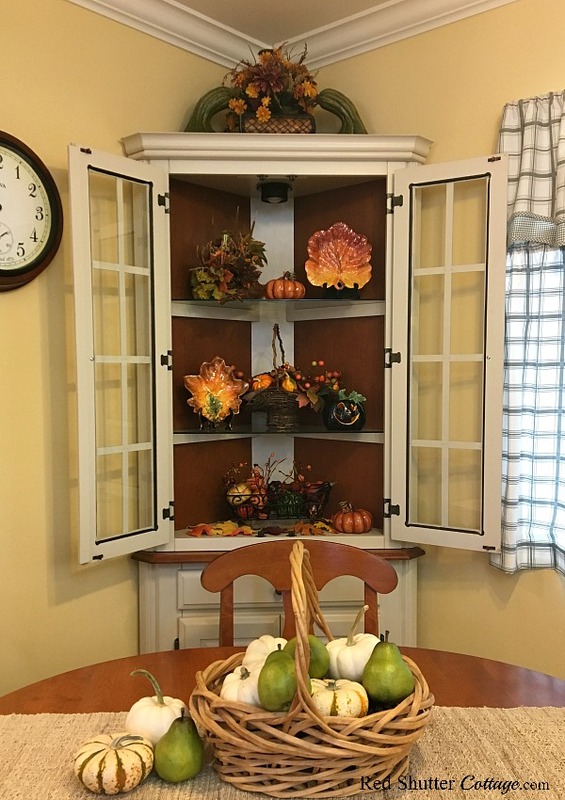 But this year, I took a different approach and filled the hutch with a cornucopia and baskets filled with fall leaves, fruits and berries, and included a few fall leaf plates, and ceramic pumpkins. 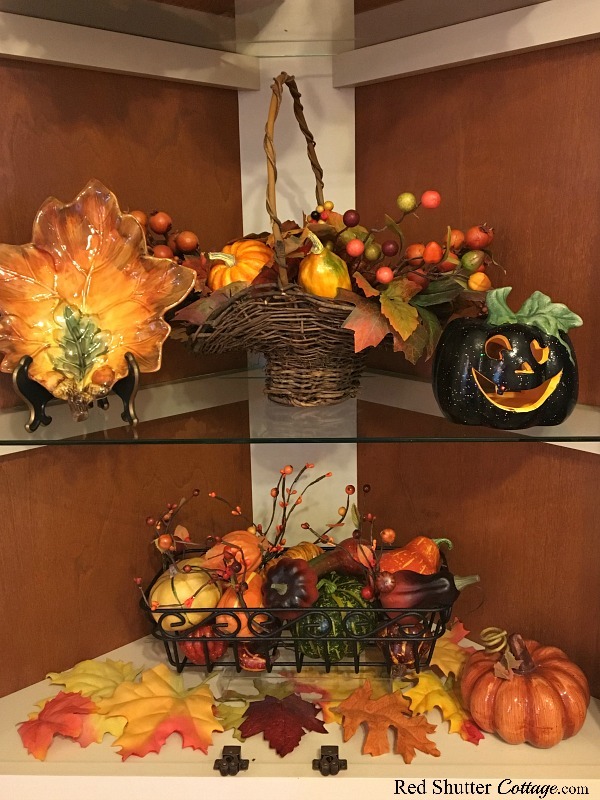 I added the little black jack-o-lantern – he just seemed to fit right in! 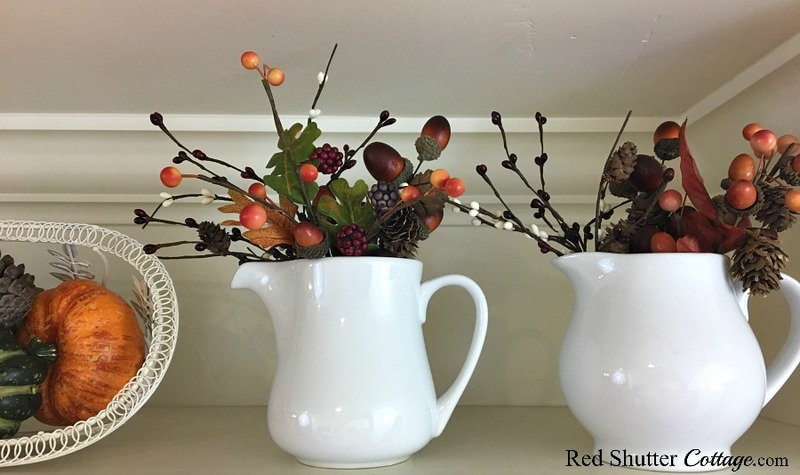 This is a little grouping that I put out every fall. 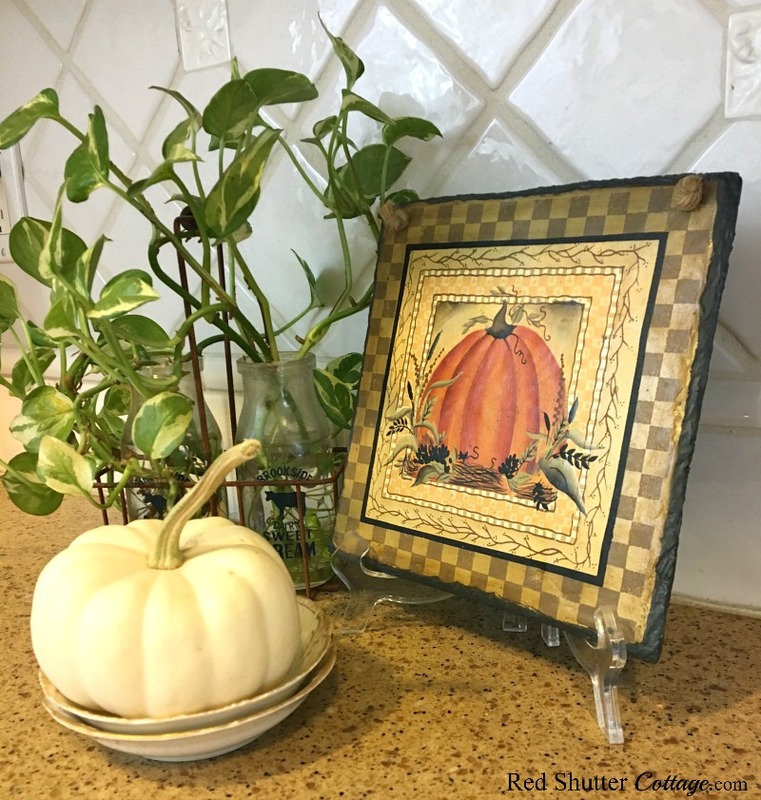 The pumpkin plaque came from JoAnn’s many years ago and the mini-milk bottle set is from Home Goods. I stacked a few small bowls from my Grandmother’s china (I’m actually not even sure what they are to be used for!) and perched a petite white pumpkin on top. 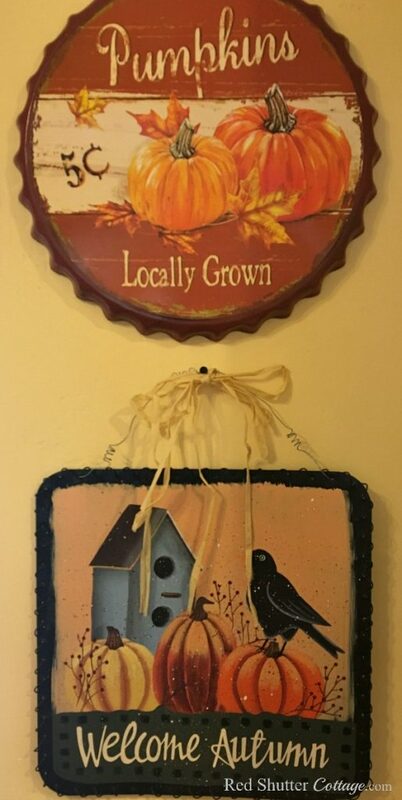 Also from a craft fair is this ‘Welcome Autumn’ sign; I love how unique it is, and how bright colors are. The pumpkin sign came from Michaels. And these are a few shots of my galley kitchen. 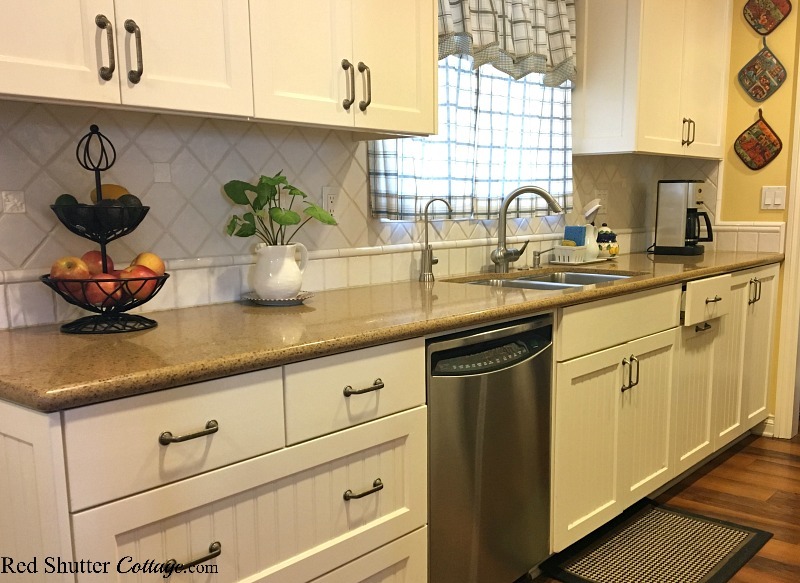 Both of my grandmothers had yellow and white kitchens; apparently it had a big influence on me. And those are not wood floors; the floor is laid with vinyl planks. We used a product called Karndean, and it has held up beautifully over the years. 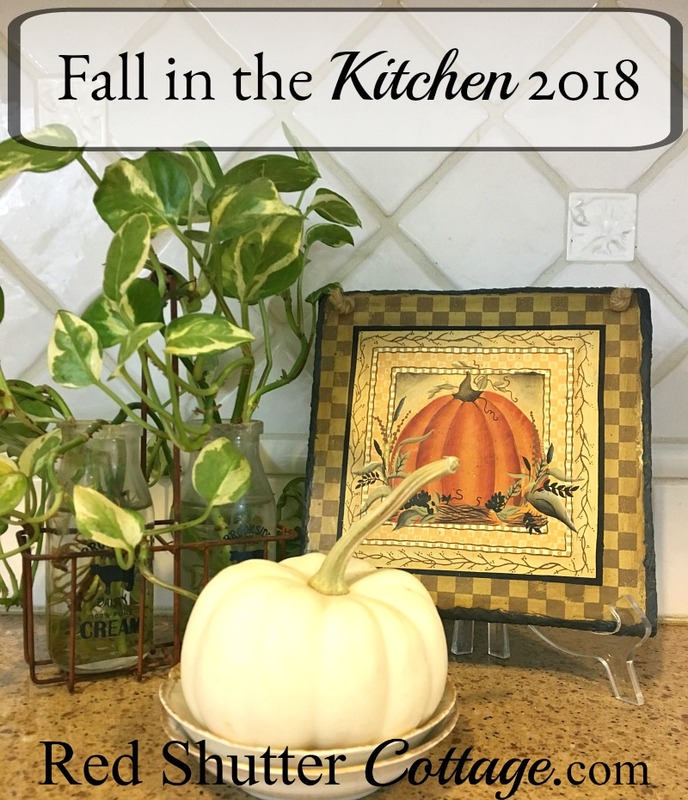 I hope you have enjoyed this fall tour in my kitchen, and maybe even picked up a little inspiration or a few ideas! 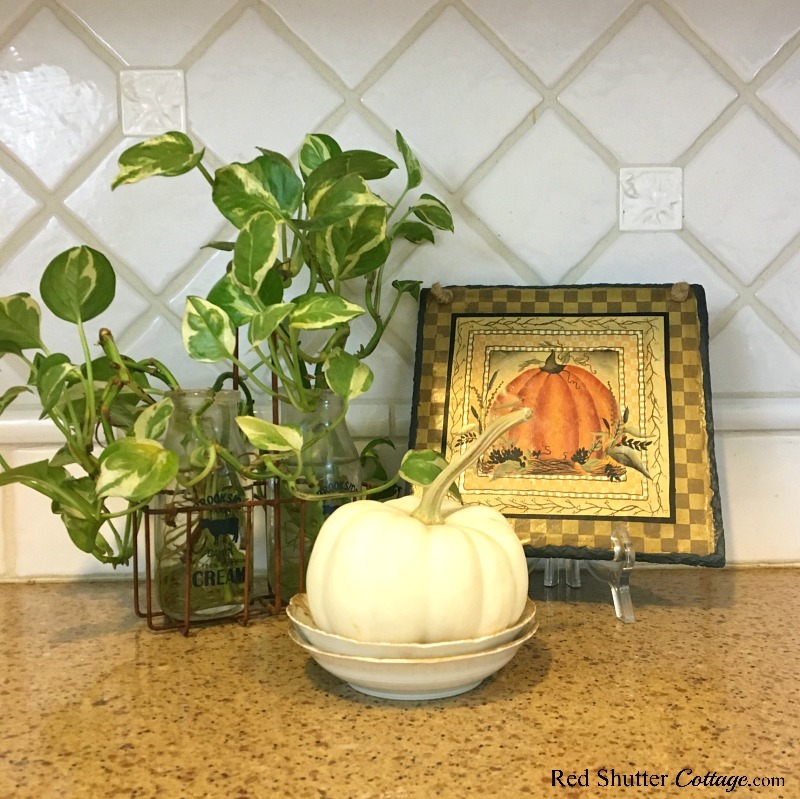 Love all of your fall decor, especially in the kitchen – looks very cozy. 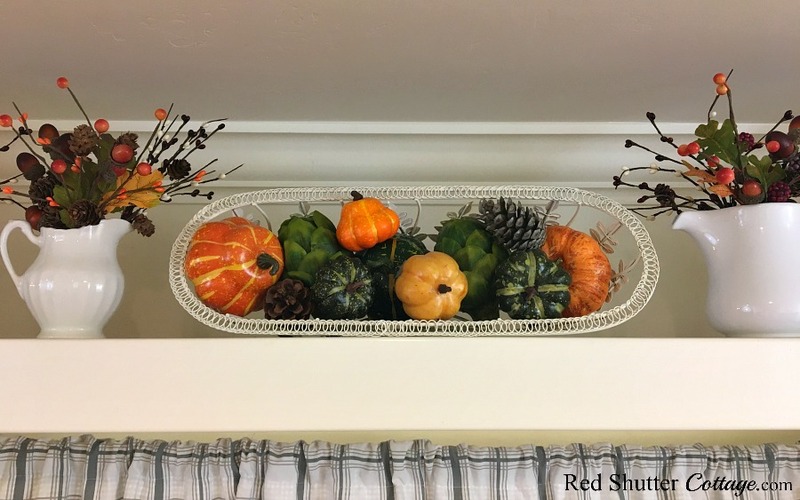 I always see such pretty potholders in stores, but never thought to use them as decoration – great idea, thanks for sharing. 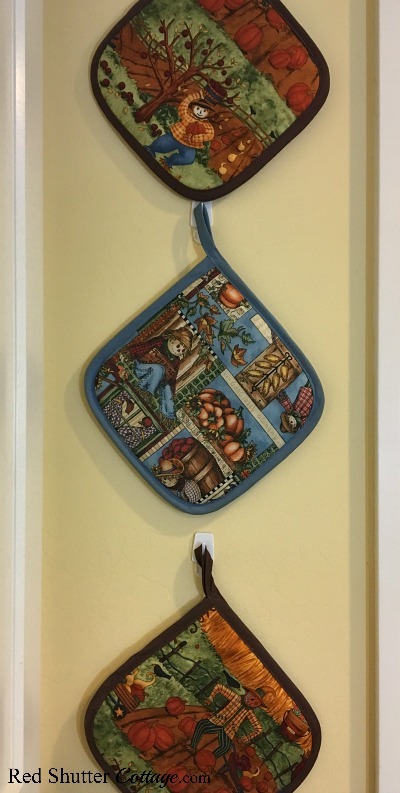 Liz – I am so glad you like the idea hanging the potholders on the wall! 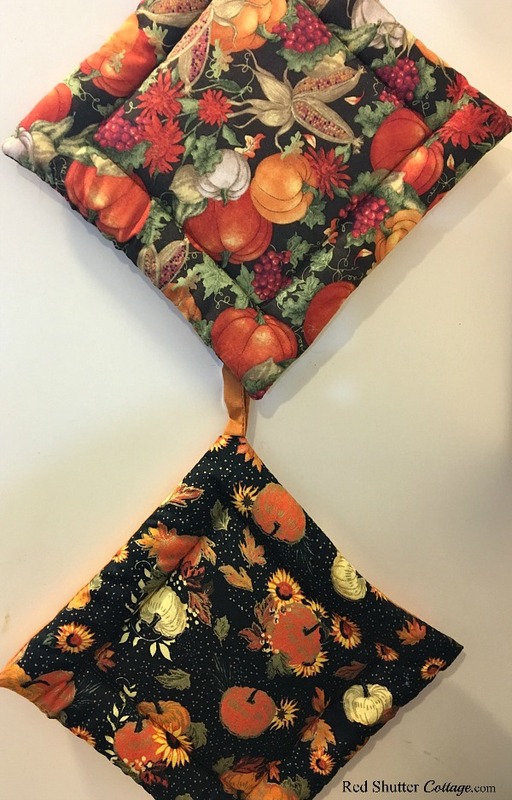 I’m attending a couple of craft fairs in the next few weeks, and I am afraid I might find even more potholders – then what will I do?? They’re just too pretty to use when I am cooking! Thank you so much for stopping by. Hi, I’m over from the heart and soul link party. 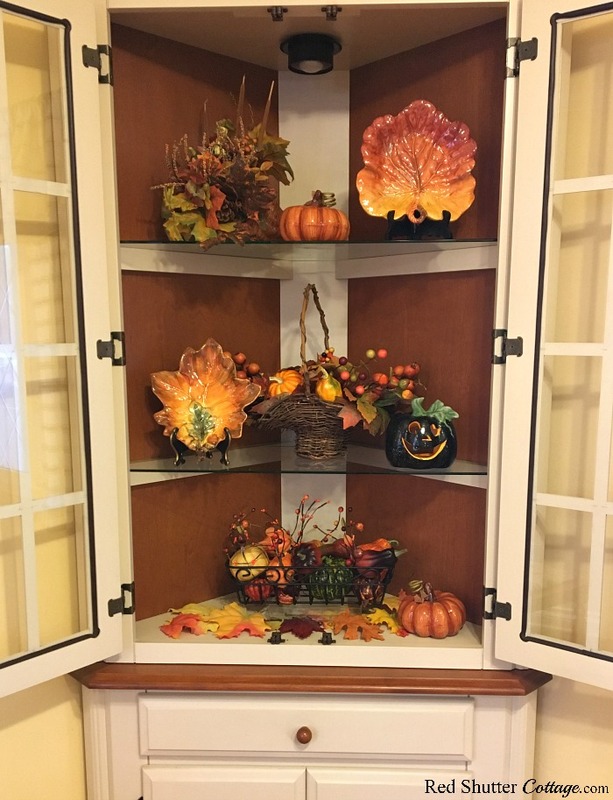 I love your fall decor, especially the shelf above the window. We’ve bought a home in France and I’m currently decorating a room that will be our kitchen. 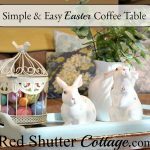 Lots of inspiration here! Andrea – How exciting that you have bought a home in France! 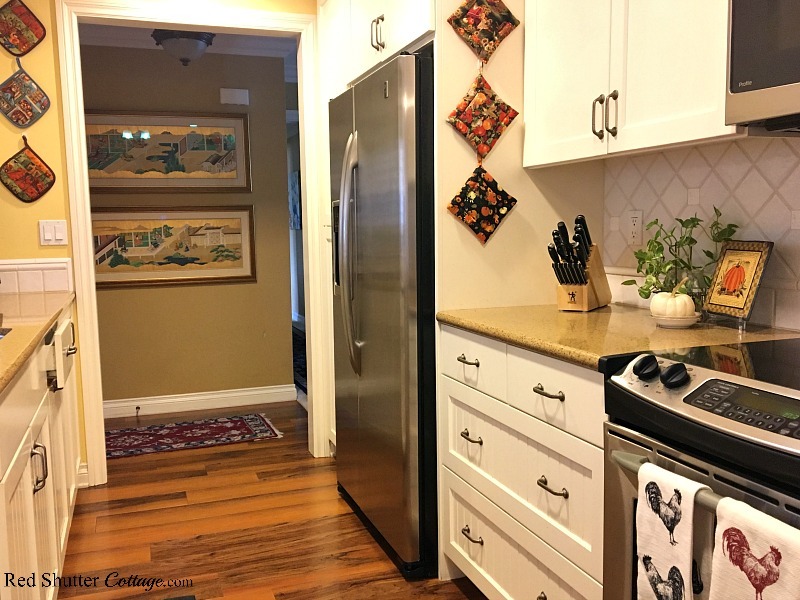 I’m so glad my little galley kitchen has given you some inspiration! 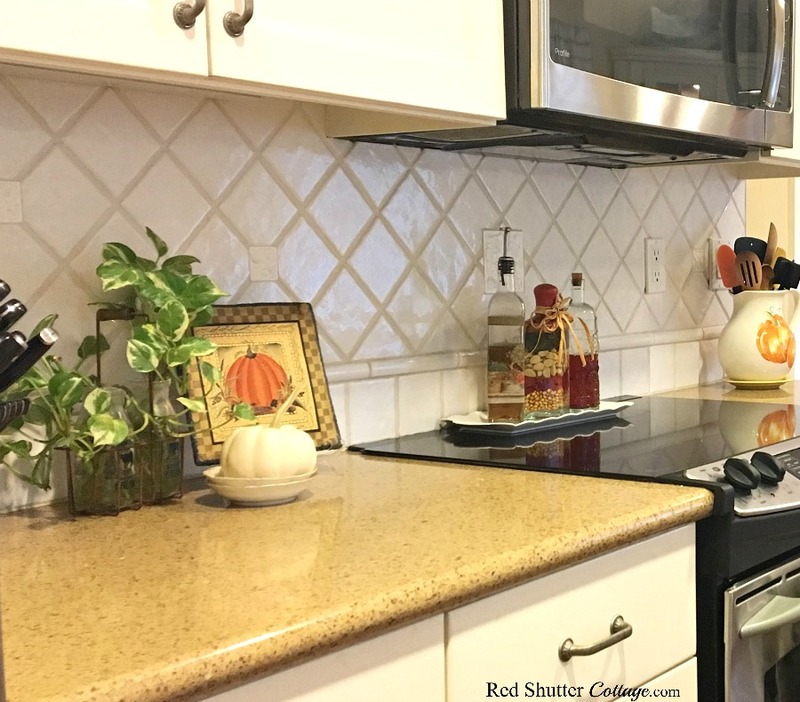 That shelf above the sink has been a a real learning experience, but it is a fun challenge. Thank you for stopping by! You’ve inspired me. I think I’ll pull out some fall decorations now. Looks beautiful! I am so happy to hear that! 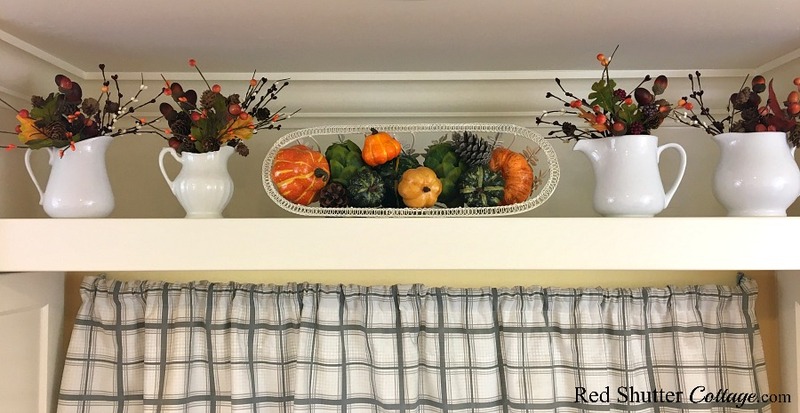 Yes– go pull out those decorations — it will put you in the mood to make pumpkin bread, chili and stew! Thank you for stopping by ! Thank you so much, Sue! I appreciate you stopping by!